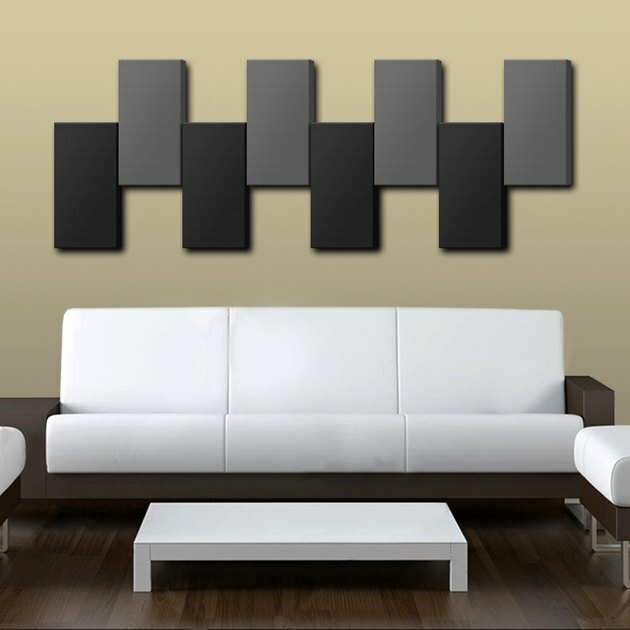 Acoustic panels cans serve as decorative accents when installed on walls. Noise pollution, especially in urban areas, is the environmental concern cited most often by residents, outpacing even air or water quality. It has a direct and ongoing impact that is impossible to ignore. But even in a small apartment with paper-thin walls and very loud neighbors there are steps you can take to abate noise and improve your quality of life. You have two options when it comes to soundproofing. You can tear into your walls, ceilings and floors and add sound-deadening or dampening products) such as mass loaded vinyl (MLV) sheets, then replace the wall coverings or the flooring. Or, you can hang panels and fabrics and use other reversible measures—a more popular alternative for renters of course, often called acoustic quieting. Both offer help, although one is more of a bandage and the other more like surgery. If you are seriously troubled by a noisy home environment, opt for surgery by adding mass to your walls with MLV or an extra layer of isolated drywall. Sound Transmission Class (STC) ratings are used to describe how well things block sound; particularly walls, floors, ceilings, doors and windows. Computing STC ratings is a very technical process, and most of us will never have occasion to study it or even make good use of it. But STC is a big deal for architects and builders, as building codes do describe minimum sound blocking standards described in terms of STC. But you are not likely to find an STC rating on a door or window that you are considering purchasing at your building center, much less on your bedroom wall. STC ratings related to everyday home life range from around 25 to 60. It is, for most of us, a relatively meaningless scale that is related to how many decibels a sound drops when passing through the object in question. But if only as a point of trivia, here are the practical realities of STC ratings. STC 25: Regular conversation can be heard without unusual effort—very little, if any, sound dampening. STC 30: Yelling can be clearly understood; normal conversation is slightly muffled. STC 35: Yelling can be heard but not understood; normal conversation not heard. STC 42: Yelling heard as faint muffled noise. STC 45: Yelling cannot be heard at all. Let's make an assumption here—you are more interested in a bandage than surgery. So what can you do to make your home quieter without ripping the drywall off your framing and adding whole new layers of sound abatement products? What are your options? Acoustical panels. You'll find a very wide array of acoustical panels for sale online—in most cases, you can customize them to your preferred colors or even have them printed as art pieces. They are typically installed with Z-panel strips that limit sound transmission. Be aware, though, that sound panels are designed primarily to limit sound transmission from the point of origin. So if your issue is that you are a very loud neighbor and you want to keep it down, they work pretty well. Even by covering one-third of your wall area with sound panels you will be doing your neighbors a real favor. But acoustical panels don't really reciprocate. Hanging sound panels on your walls helps prevent sound transmission, but they offer little help when it comes to incoming sound absorption. They are a nice gesture but they don't solve your noisy home problem. Drapes. Like installing acoustical panels, hanging heavy fabric drapes will help to quiet your living space a little bit. But honestly, the improvement is not that much. Plus, you'll be surrounded by drapes. Again, it is a better remedy for your neighbors than for you (unless you can convince your neighbors to hang the drapes or acoustical panels in their unit). Foam backers that fit behind electrical cover plates stop sound and provide good insulation. So what does work? Noise is kind of like cold air. It finds its way into your home through any nook or gap that is not well sealed. Your best tools for improving the livability of your noisy home are a caulk gun and some weatherstripping. Insulate electrical boxes. 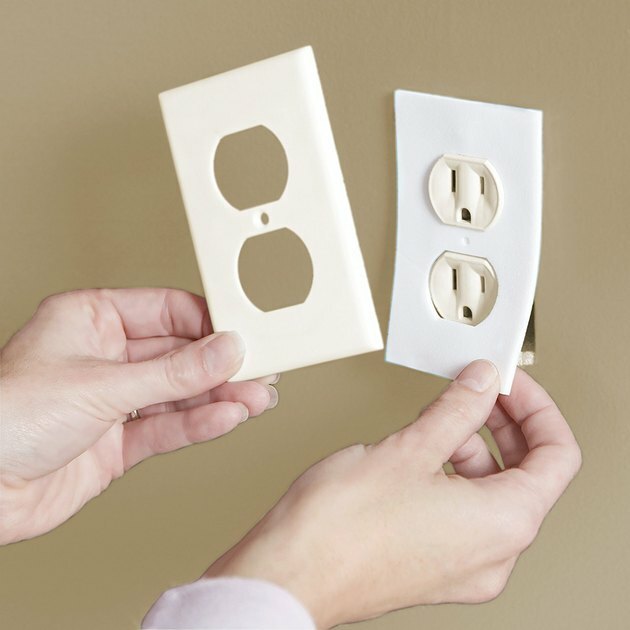 Start with the electrical switch and receptacle boxes on your exterior walls. You can buy foam insulation backers that are designed to fit them. All you need to do is remove the cover plate, add the backer, and replace the plate. They cut sound and also provide insulation. But take it a step further: caulk around the boxes to fill the gap between the boxes and the wallcovering. Don't be stingy—get a good seal. Caulk. 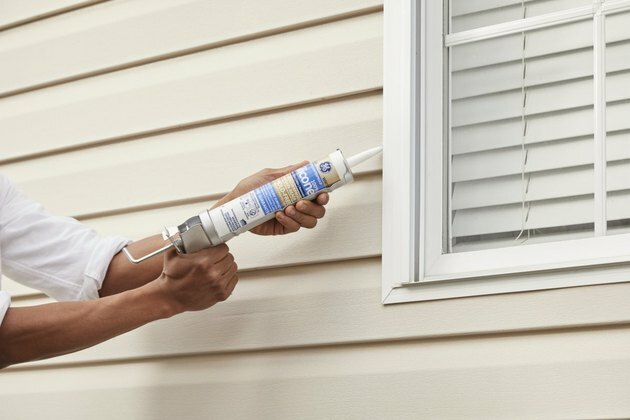 Caulk around your windows. This means removing the case molding and injecting window-and-door caulk (or expandable foam if the gaps are more than 1/2 inch). But these gaps are primary infiltration points for noise and cold air, and sealing them up will help. Do the same around your doors. Another good step is to remove your baseboard trim inside the room and fill the gap between the wall and floor with caulk. Replace doors. If your doors are hollow-core (exterior doors generally are not), think about replacing them. Air does actually have some value as an insulator but it has little to none as a sound stop. On the exterior, steel doors with.a foam core are very good at blocking sound. Stopping sound is ultimately about mass, so the beefier your doors, the more sound they will block. Adding a door sweep is a good idea for both sound and insulation if your exterior door lacks a well-sealing one. Caulk is a first line of defense against sound transmission. Add carpet padding. If you have wall-to-wall carpeting there is no easy fix here, but if you have area rugs scattered around your apartment or condo, simply adding carpet padding beneath them will help to quiet your space as well as your downstairs neighbor's. If you have bare floors, look at adding both rugs and pads—some associations even require it. 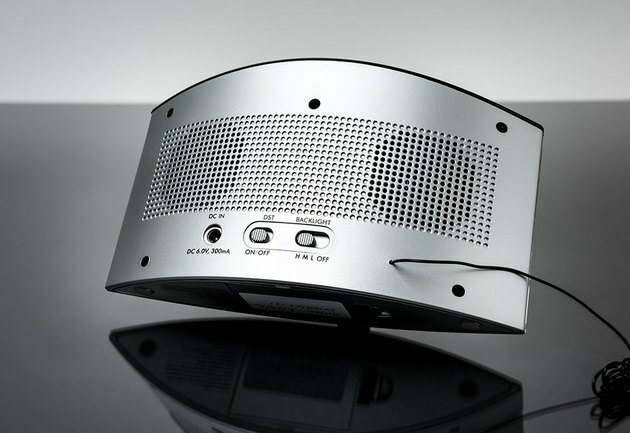 A desktop white noise machine. Use white noise. Perhaps the easiest way to address noise problems in your home is by purchasing a white noise machine. These inexpensive desktop appliances create random, high-pitched sound waves that cancel or mask ambient room sound. The white noise (noise color is basically related to frequency) is heard as essentially static and may be combined with other sounds, such as that of a bubbling brook or forest rainfall. Many white noise machine models cost well under $100. Mark Johanson is a highly experienced home and garden author and DIYer who has written and edited more than 400 books and many magazine article on the subjects. He has published numerous highly technical titles on complex DIY topics such as wiring and plumbing and woodworking, and has more recently entered the gardening category and produced two of the bestselling garden books in North America, as well as many other fine garden titles. He lives in Minnesota. What Is Best Fabric to Use for Soundproofing?